What causes brick faces to “pop off” or deteriorate? Why is this happening? I get many calls around springtime each year about brick deteriorating. Why are my brick faces falling off, popping off, spalling or deteriorating? No matter how you choose to word it, it usually looks the same, like the face of the brick just popped off. Areas throughout your home or brick structure can deteriorate like this a few different ways. One reason is due to water entry into the material itself. Brick and masonry are “Breathable” materials (Meaning they will hold and release air and water) When water exists in brick and mortar throughout Freeze/thaw cycles, the water will expand and contract. When this kind of stress is put on the material, something has got to give, and it’s usually the mortar joints and occasionally, the brick itself. The mortar and faces of the brick are pushed out. Water entry into cracks or open holes in the brickwork can also cause this. The same thing happens on larger levels here with the freeze/thaw cycling. Larger holes allow more water in and out causing brick movement more often than not, and secondly failing mortar joints and lastly, brick spalling or deteriorated faces. Solution? 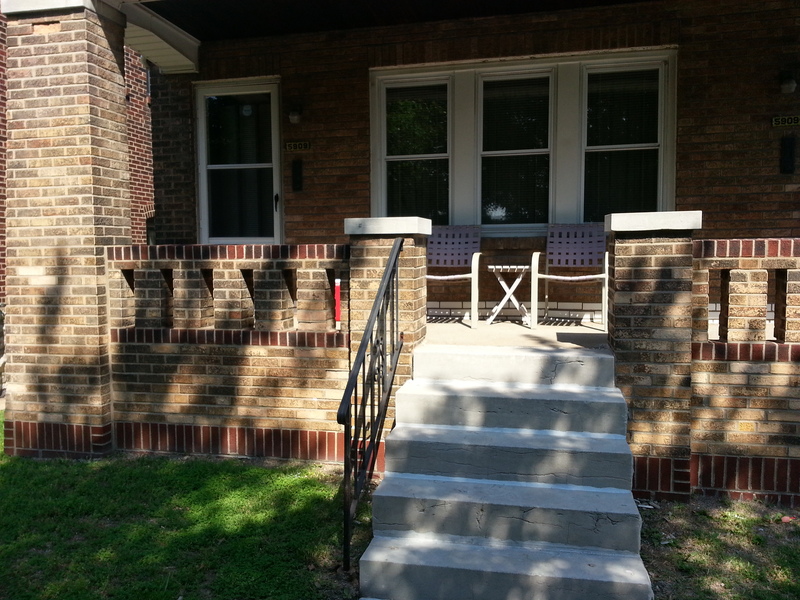 Repair and or Replacement or brick, tuckpointing and application of masonry waterproofer. Any kind of material containing cement (ie Mortar/Concrete) will take several years to fully cure. Cement based material becomes stronger and harder over time putting stress on the material around it. If the material is too weak to withstand the pressure from the curing mortar, Cracks, Holes and Spalling of the brick, block or stone will occur. Solution? Repair and or Replacement or brick, complete tuckpointing of affected area and application of masonry waterproofer. Selecting the right mortar for your building or repair project is one of the most important steps in creating a finished product that will last for many years. Whose hands are your brick in? Give us a click or call today for a free consultation. And the least common cause is failure in the material itself. Simply put: It was made wrong or consisted of poor design. This happens but is not usually the case. Solution? Complete rebuild or Repair/Replacement or brick, tuckpointing and application of masonry waterproofer. Additional Questions? Visit the Contact us page and drop us a line. We’d be glad to hear from you! Posted in Brick Construction, Destruction & Reconstruction, Brick, Block & Stone Restoration & Cleaning, Chimney Restoration and Repair, St. Louis Tuckpointing & Brick Repair, Tuckpointing, pointing, re-pointing. 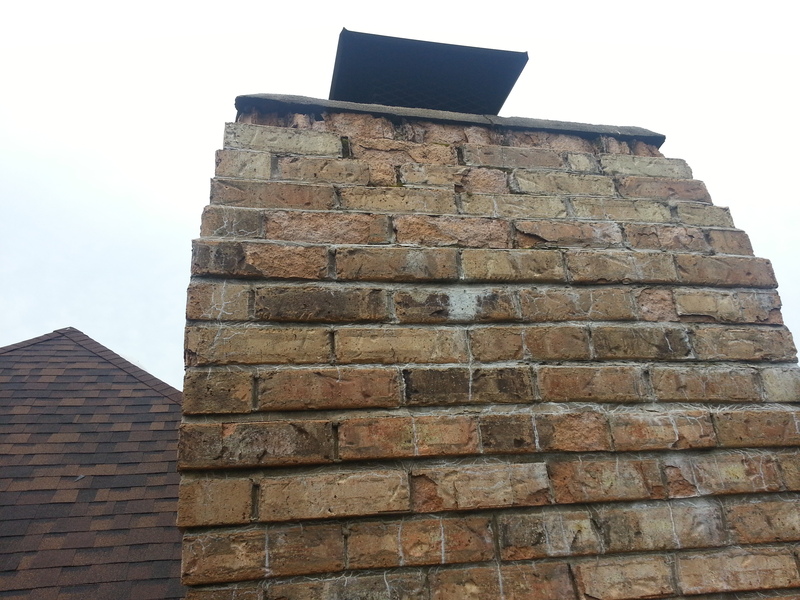 Mortar joint Repairs and tagged Brick, Chimney, damage, tuckpointing on May 20, 2013 by Jacob Thompson. ← Chimney Repairs. Costs, How-To, and Other Questions Answered.